Please click on the service area you are interested in if you would like to access additional information. 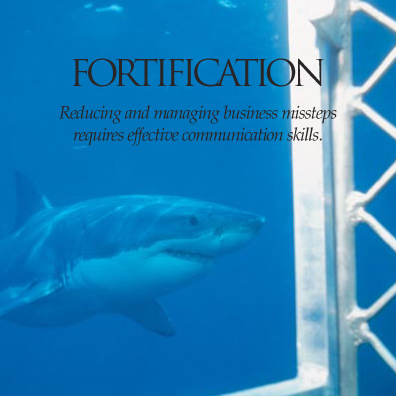 Fortifying one’s reputation and market position necessitates a forthright communication strategy and tailor-made tactics that include the comprehensive monitoring and analysis of relevant internet content, the strategic use of social media, the development and delivery of effective internal and external messages, and much more. Carefully chosen outside counsel brings specialized knowledge, valuable experience and fresh ideas to the table and is often key to ensuring the success of a given initiative. C4CS® works to prioritize a communication approach, whether to supplement a program already in place or develop a new one. We take into account our client partners’ mission, goals, objectives, and resources and thoroughly analyze stakeholder opinions and actions in order to devise communication strategies and corresponding tactics that assess needs, assign clear outcomes, and deliver solutions that achieve results. We are experienced professionals who know and have always emphasized the fact that organizational change and economic success are driven by effective communication. Members of our firm routinely interact with senior management regarding a wide variety of internal and external communication matters, and our consultants, trainers and executive coaches look forward to discussing your company's strategic communication needs. Please contact us by e-mail at or by phone at (412) 421-0433, and click here if you wish to access our complete Contact Information. Crises for a company can take many forms. But whether they are accidental, financial, legal, or otherwise, there is one thing that all affected organizations have in common: a critical need for a successful managerial and operational response as well as effective communication with external and internal stakeholders. And while many just talk about it, we have actually been there and done it. Be it crisis communication planning, training, testing or incident response, C4CS® has guided the efforts of many well-known client partners on their way to more effectively communicating in times of crisis. Our expertise includes all facets of internal and external crisis communication with an emphasis on social media monitoring, analysis and utilization. It is our goal to maximize our client partners´ crisis preparedness through the development, implementation and ongoing optimization of customized strategies before a crisis occurs. Trust us, as we know from experience: organizational survival and lasting business success depend upon thorough crisis prevention and preparation. Regardless of a company’s size, reputation or industry, preparing for effective communication in times of crisis inevitably calls for putting the proper organizational structure and processes in place. This includes assigning responsibilities, training employees and establishing instruments which enable seamless communication, even in the face of extreme stress. We have worked with a host of corporate, not for profit and government client partners determined to ready themselves for managing potentially crippling events. From a thorough initial assessment to crisis communication team member selection, and from the necessary crisis communication training and incident response testing to crafting a customized crisis communication plan and Internet strategy, our team the critical knowledge and expertise you are looking for. 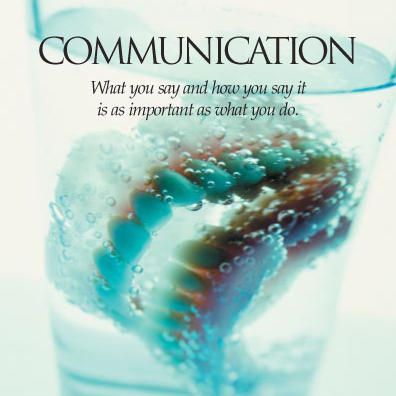 If you would like to read a C4CS® Crisis Communication Case Study, please click here. Effective crisis communication is timely, truthful, consistent and coordinated. If an organization handles the managerial and operational details of a crisis well, but ineffectively communicates with its internal and external stakeholders, the entire crisis response may fail. A botched communication response not only leads to increased traditional and social media coverage and stakeholder scrutiny, but it may cause lasting damage to brand equity, reputation and the bottom line. Developing, testing and delivering effective stakeholder messages and the proactive monitoring, analysis and utilization of traditional and social media are keys to successful crisis communication. Effective communication at all times critically enhances stakeholder as well as traditional and social media understanding and cooperation in times of crisis. Preparation is at the core of successful crisis communication and involves the development and implementation of a customized crisis communication plan that includes a social media component and recurring media-spokesperson training and crisis communication drills. The inability to recognize and act upon the fact that stakeholders perceive and react to risk in a fundamentally different way than risk analysts and scientists do frequently has even the most powerful corporations scrambling for answers. As a result, the desire to master the art of communicating risk effectively continues to increase on an international scale, and our risk communication services remain in high demand. But multiple views of risk are not the only challenge. Because the media interprets risk to the public, it is of critical importance to also understand how the traditional and social media work, how journalists and social media users translate risk information and what management must do to communicate risk information without jeopardizing stakeholder trust and incurring reputational damage. C4CS® is at the forefront of developing risk communication strategies and the corresponding risk messages tailored to the needs of corporations, not for profit organizations and government agencies. We have many years of experience in advising client partners concerning matters involving regulatory agencies and an excellent track record of combining risk communication expertise with tested conflict management strategies. Our risk communication approach enables us to critically assist our client partners in effectively managing mounting pressure from and unfounded allegations made by well-organized anti-corporate activists. C4CS® has successfully guided dozens of client partners in aligning the analytic with the affective view, shaping the public perception of a given risk, creating an awareness and an understanding of that particular risk, and seeking cooperative mitigation of the risk. From Court TV to the Six O’clock Evening News and a growing number of bloggers, high profile litigation is increasingly becoming the focus of extensive traditional and social media attention. With specialized knowledge of the legal sector, C4CS® works with attorneys and their clients to enable them to enhance their representation before this court of public opinion. As an integral aid to mounting an effective defense, C4CS® assists by providing legal teams with critical knowledge through extensive media analysis, effective message development, advancement of message delivery skills and techniques, and the coordination of courthouse media logistics. Recognizing that attorneys never know when a client will become a high profile case, C4CS® brings its analytical, strategic and tactical crisis expertise to the legal arena to assist attorneys in dealing with the demands of this special area of legal representation. Our understanding of legal issues combined with our crisis and media management expertise enables us to provide the attorney with an enhanced representation in this challenging, media driven arena. Past projects include: CLE instruction to State Bar Association, pre-indictment assistance, post-conviction assistance, media analysis in capital defense cases, etc. Even experienced senior managers continue to underestimate the value of carefully planned two-way communication with internal stakeholders. Yet, employees are an essential audience when it comes to enabling smooth day-to-day business operation, driving organizational change, responding to challenging situations, etc. At C4CS®, we take an inside-out, top-down approach to internal and external communication. For our client partners, top-down begins with the board of directors and also includes the executive team, other layers of management, and the entire employee base. Externally, we start closest to the organization by focusing on employee family members, customers and clients, suppliers and providers, the media, and the general public. Next, our internal communication strategy includes a thorough assessment of all of the channels and tools available for communications, mapping them to the specific stakeholders and also taking an inside-out approach. These might include the organization’s intranet site, internal email systems, and memos, as well as employee town halls, conference calls, blast telephone messaging, and texts. The key is to communicate openly and frequently in order to keep employees apprised of what they need to know, how they may provide feedback and ask questions, and what they should do. C4CS® also strongly advocates the implementation of a One-Voice Policy so everyone in the company knows what to do when inquiries from internal or external stakeholders come in. Furthermore, identifying and training spokespersons and a process for working with internal and external stakeholders including employees and media representatives are essential. Additional information is available by accessing sections on Executive Communication Coaching, Media Relations, and Media Skills & Spokesperson Training. For more information, please contact us by e-mail at or by phone at (412) 421-0433, and click here if you wish to access our complete Contact Information. We look forward to hearing from you. It is true that the only constant is change. However, while change is critical to enabling organizational success, it is often very difficult for corporations to go through, even in today’s ever-changing world. Members of the board of directors, executives, employees, customers, service providers, and other stakeholders may question and resist change. C4CS® can help companies to create a vision for change management, mapping from where the organization is today and bridging the gap to what that vision entails in the future. A critical linchpin to successfully realizing change is effective communication with internal as well as external stakeholders. Our company brings decades of change communication and change management experience to bear, helping C4CS® clients to gracefully manage the transitions necessary. Our forte is identifying then communicating the vision and how the organization can realize it in ways that all stakeholders can embrace. We pair the crafting of a customized change communication strategy with clear steps that will keep all parties informed and motivated. Our consultants have worked on change initiatives with corporate, nonprofit and government client partners. Whether your organization’s change management efforts are forced or voluntary, our team has the critical experience, knowledge and expertise that can make change an easier prospect. When it comes to effective external messaging, it is of course vital to build strong relationships with the media. In order to accomplish this goal it is essential to establish and maintain positive relationships with media representatives when times are good so the mutual trust and familiarity can positively influence media coverage in more challenging times. C4CS® helps clients to understand the importance of media relations, to craft a strategic and tactical media relations approach that will achieve results, and to develop and utilize lasting relationships with individual reporters. We leverage proven techniques to help clients garner visibility and credibility with all types of traditional media and social media. The bottom line is to position our client partners to be looked upon as the go-to resource by journalists from print, radio, and television, as well as by bloggers and other social media content producers. Our clients often tell us that having C4CS® take on critical media relations tasks not only makes their work easier, but it also results in an important increase in positive media attention. We are happy to hear it, continue to listen carefully, and remain determined to identify how we can best provide customized media relations solutions to our client partners. Today’s business success is driven by many factors, not the least of which are the internet and traditional and social media. The prevalence of these communication channels has quickly broadened in terms of scope, reach, and their impact on the corporate world and society at large. C4CS® takes a highly disciplined approach to monitoring the internet, traditional media, and social media in real time. We utilize stringent search criteria covering all languages and domains, keeping our finger on the pulse of key topics that are important to our clients. Monitoring tools and reporting are customized in terms of reach, format, frequency and the accuracy of the content that is included in order to help clients stay informed and get ahead of any news that requires action or reaction. Our proven procedures and approach deliver meaningful monitoring results that have greatly benefited our client partners. Ultimately, it is all about devising and implementing a customized strategy that protects and enhances brand equity, reputation, and the bottom line. Studies from countries around the world show an increasing reliance on skilled and savvy media spokespersons. Companies, government agencies and not for profit organizations now recognize that representing themselves before the media takes a lot more than marginal skills. Spokespersons must not only speak and think well on their feet, they must keep pace with the dizzying amount of information from the Internet to global television news. C4CS® integrates the latest media technologies and trends in its media & spokesperson training. From "live talk back" workshops to simulated news conferences and interviews with bloggers, our team of seasoned mentors gently builds individual skills in a highly supportive and contemporary style. We often work with clients who tell us about their uneasiness when it comes to facing the media. Our trainers and executive coaches believe in skills building through repeated practice and empowering client partners to conduct effective interviews no matter whether the questions are coming from print, broadcast or social media. Our team works with individuals and small groups. From message assessment and development to verbal and non-verbal presentation skills, C4CS® media-spokesperson workshops are on the forefront of what your organization needs to enhance its representation before the media. As the pressure on corporations and its representatives to thoroughly explain their motives and actions to stakeholders continues to rise, and because career advancement increasingly depends on whether an executive consistently displays the ability to lead through communicating in the necessary manner, more and more executives are looking for expert advice on how to improve their communication skills and navigate the social media landscape. C4CS® has developed and successfully implemented a variety of methods for coaching corporate leaders in regard to all aspects of executive communication. We work with our client partners in such areas as public speaking, interpersonal and group communication, listening techniques, overcoming communication apprehension, conducting effective meetings, message analysis and development, vocal and physical delivery, and communicating under pressure. Our personalized executive communication coaching approach includes a confidential assessment interview followed by at least three main sessions with the executive. The overarching goal is to not only improve skills, but also to boost communication self-confidence and leadership skills. Please click here if you would like to read a Bulldog Reporter article on "Many Corporate Leaders Lack Communications Skills—and Executive Comms Coaching Is On the Rise" authored by C4CS®. A growing number of companies of all sizes are recognizing an increasing need for their management to become more effective in presentational communication to employees, customers, and other relevant stakeholders. In fact, the ability to make effective public presentations is one of the most critical skills of effective leadership. Accordingly, C4CS® offers a range of workshops and services designed to enhance the presentation skills development of an organization’s managers and spokespersons. Working with small groups or in one-on-one coaching situations, we assess a client’s particular needs and craft personalized programs to improve presentation skills. These programs have been successful with government and law enforcement agencies, not-for-profit organizations, and our corporate clients. Whether the needs are connected to issues with communication apprehension, message analysis and development, utilizing PowerPoint, or vocal or physical delivery, our personalized group presentation skills training and one-on-one executive communication coaching not only enhance skills in a constructive and non-threatening environment, but they give the client a greater sense of communication self-confidence and ultimately result in stronger leadership and more successful organizations. Providing external help in regard to the effective management of stakeholder relationships has been a sought after C4CS® service for many years. In our experience, the systematic identification and analysis of internal and external stakeholders, as well as thorough planning and implementation of activities geared toward engaging with specific stakeholders is critical to achieving economic success. Our team has worked with a variety of corporations, not for profit organizations, and government client partners in order to influence stakeholder attitudes and bring about the desired stakeholder action. The foundation for our stakeholder management approach have always been comprehensive research, carefully planned communication, and extensive evaluation. As such, on any given day we may assist our clients by monitoring the internet and social media, assessing the potential impact of a planned engagement activity, refining a stakeholder map, facilitating a town hall meeting, or conducting phone interviews with key stakeholders. In a world of instant global communication and an increasingly complex and quickly changing business environment, a company’s ability to correctly anticipate and proactively influence stakeholder opinion and behavior is key to its long-term success. In light of these challenges issues management has become an indispensable tool for preventing corporate crises and achieving competitive advantages. Today a growing number of companies around the world apply proven Issues Management strategies and tactics geared at systematically identifying potential and current issues, altering their evolution, and thereby changing internal and external business environments in their favor. As a result, issues management has become an integral part of corporate strategic planning, but is commonly spearheaded by corporate communication. C4CS® has been guiding leading corporations in North America, Europe and Asia in their efforts to develop, implement and continuously improve a customized Issues Management program for many years. Our six-step Issues Management process is successfully utilized by international client partners which realize that aligning organizational goals and activities with stakeholder expectations not only protects and enhances brand equity and reputation, but ultimately also results in a more profitable business. Companies spend a lot of resources to build their brands and corporate reputation. In fact, the difference between the book value and the market value of a company is directly attributable to brand equity and reputation. There is also a high correlation between an organization’s culture, its brand, and its reputation. All three must be preserved and managed, particularly in times of crisis. Protecting and enhancing the organization’s reputation must necessarily be the foundation upon which crisis readiness plans are built. With an understanding of the value proposition, culture and internal as well as external brand, companies must ensure that preserving their reputation is front and center in all aspects of the preparedness planning strategy and especially when experiencing a crisis. There must be no disconnects between an organization’s stated mission and core values when compared to how crises are managed with respect to all stakeholders. There should be a consistent thread from these statements on the business, the components and processes of crisis response plans, and the key messages that are conveyed when responding to a crisis. At C4CS®, we advise our clients to focus on their brand and reputation as a core competency of the business. It is central to long-term economic success as well as the efficacy of crisis readiness. Because potentially debilitating crises are part of the organizational life cycle, they can sooner or later happen to any company no matter how much emphasis management places on indispensable crisis prevention. It is therefore not a matter of “if” a business will experience a crisis. It is a matter of “when,” “where,” “how” and “why” a crisis will occur and what its impact is going to be over the short and long terms. The key to organizational survival and long-term business success therefore lies in maximizing crisis readiness. Indeed, research shows that organizations that are well prepared not only experience fewer crises, they are also less likely to suffer significant damage to brand equity, reputation, and the bottom line. Experienced leaders understand that recruiting and retaining crisis management consultants can dramatically improve the ability to effectively respond to and recover from sudden as well as smoldering adversity. C4CS® has a long and successful track record of helping clients across industries to navigate high-stakes events of all types, mitigate adverse impacts, and enable quick recovery. Only if leadership acknowledges the critical importance of maximizing crisis preparedness and actively promotes the corresponding mindset throughout the company, will it be possible to minimize crisis-induced damage and convert resulting organizational change into competitive advantages. Via our experience with crisis situations in diverse arenas, we see individuals, corporations, not for profit organizations, and government agencies similarly united in this: a proactive approach to crisis management is critical to enabling and sustaining organizational success. C4CS® provides a range of critical crisis management services in areas including Business Continuity Planning, Compliance, Disaster Recovery, Impact Analysis, Incident Management & Notification, Crisis Drills and Simulations, Tabletop Crisis Exercises, and more. 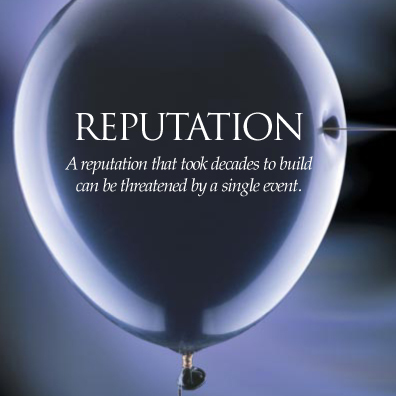 Whether the event is a tornado ripping through a manufacturing plant, an act of terrorism, litigation, an industrial or traffic accident, a site closure, a cybersecurity incident, or another type of possibly crippling disruption of business, our experience in increasing crisis readiness and responding to adversity has helped many a client partner to minimize negative consequences for brand equity, reputation, and the bottom line. Our six-step Crisis Management Process is time-tested, methodical, and disciplined. Please click here if you would like to read a Smart Business Magazine article on "Weathering a storm: Crisis readiness in the 21st century" authored by C4CS®. If you would like to access a webinar on "Crisis Management: Effective Leadership in Times of Crisis" conducted by C4CS® in collaboration with the University of Pittsburgh's Katz Graduate School of Business and Ivy Exec, please click here. Just having plans that outline crisis management responsibilities, procedures, etc. is never enough. These plans must be living documents that are easily accessible and fully understood by everyone involved in the crisis response. In addition to helping craft new or refine existing crisis management plans, C4CS® delivers objective expertise to train Crisis Response Team members. We create and conduct realistic, scenario-based workshops and crisis exercises including tabletops that thoroughly test crisis response plans and refine CRT members’ skills. By cultivating a healthy learning environment and advocating regularly scheduled training, C4CS® facilitates each client's ability to implement response plans and procedures and sharpen necessary tools. When a C4CS® client is confronted with a crisis, our team stands ready to deliver expert services and support around the clock. We are always on call and often also embedded with our client's Crisis Response Team. Among the many events we have helped our clients effectively respond to are accidents, bankruptcy, criminal conduct, cyber attacks, lawsuits, inaccurate media reporting, natural disasters, product and service issues, reputation loss, restructuring, social media attacks, etc. Ranging from impact analysis and comprehensive online monitoring to managing stakeholder inquiries and preparing spokespersons, our team's skills and experience have successfully protected and enhanced the brand equity, reputation and bottom line of C4CS® clients for more than 20 years. © 1998 - 2019 C4CS, LLC. All rights reserved. © 1998 - 2019 C4CS, LLC.